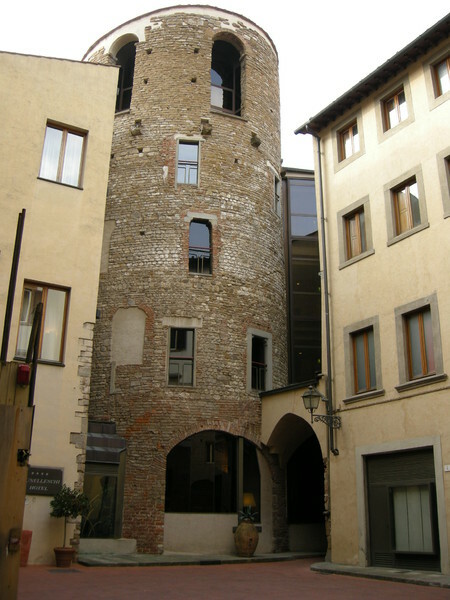 The oldest and arguably most beautiful Florentine tower is Torre della Pagliazza (the Straw Tower). This semi-circular (a unique shape) tower is tucked away in a small piazza in the center of Florence. It dates back to the fortress of the ancient Romans. When the Roman Empire fell the city of Florence was virtually abandoned. Only about 1,000 people remained. The Roman city walls were too expansive for the smaller town so it was decided to create a second set of walls. 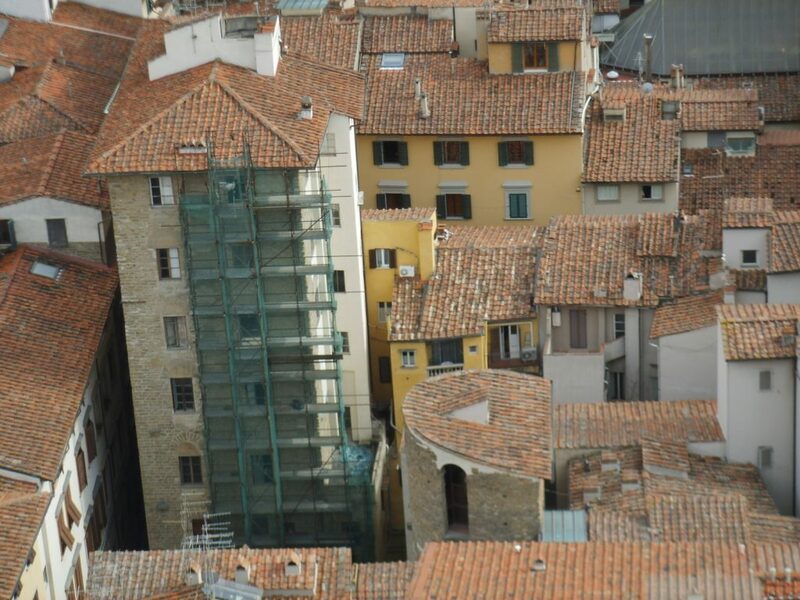 The tower, now known as the Straw Tower was part of that second wall, built during the Gothic War by the Florentine citizens of the Byzantine Empire between 541 and 544 A.D. In 1980, archaeological excavation of the tower revealed evidence of Roman building under the tower, part of the foundation – a caldarium (a room with a hot plunge bath, a hot and steamy room heated by a hypocaust, an under floor heating system) of the Roman thermal baths, which may explain the tower’s round shape. It was used during the 13th century as the first women’s prison and thus got its name, the Straw Tower, which stuck through the centuries. The moniker comes from the bedding used in the prison to make the women comfortable, an unusual prison practice at the time. Many of the women who were locked up in this tower during the Middle Ages, however, were not criminals, at least in modern terms. For instance, those who refused to marry the man chosen by her parents in an arranged marriage could be jailed. In the 10th century, St. Michael’s Church was built near the tower, which was used as its bell tower. Over the years the church changed names many times: from San Michele alle Trombe (St. Michael of the Trumpets), because trumpeters of the town resided within its parish, to the Church of Santa Maria della Visitazione (St. Mary of the Visitation), and finally, as the Church of Santa Elisabetta (St. Elizabeth’s Church). In the late 1700s it became part of a private residence. In the 18th and 19th centuries, three hotels occupied the tower, adding additional walls. 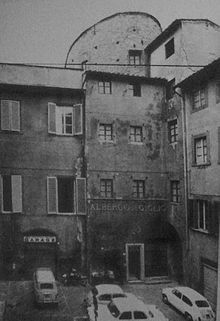 The last was the Giglio Hotel. After the hotel’s closure, the building was neglected for years until 1980, when the National Insurance Institute decided to renovate the structure, removing the Giglio Hotel suprastructure and exposed the original tower. A museum has been created inside the Brunelleschi Hotel. Today, the museum is open with no cost of admission on Tuesdays, Thursdays and Saturdays from 2p.m. to 5p.m., where visitors can see ceramic objects, Roman fragments, the site of the thermal baths and various items from Medieval times, which were found during the restoration of the tower.